The outer layer of your teeth consists of enamel, a substance that protects against physical and chemical damage. Tooth enamel is very tough. In fact, it’s the hardest tissue in the human body — even tougher than bone. Enamel is the first defense for your teeth against the many different chemicals they’re exposed to from food and bodily fluids. As a result, it can be prone to wear and tear. 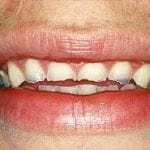 This is referred to as enamel erosion. Enamel erosion can cause symptoms like tooth stains and sensitivity. 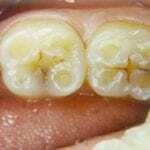 Tooth enamel can’t be regrown. But you can prevent erosion from getting worse with dental treatment and by taking care of your teeth. You may have significant enamel erosion if you experience pain, high sensitivity when exposed to cold, hot, acidic, and spicy food and drink, and discoloration in your teeth. fractured teethOne of the main causes of enamel erosion are acids found in the foods and liquids you consume. Saliva constantly neutralizes acid in your mouth to protect your teeth. But if you eat too much acidic food and drink and don’t properly brush your teeth, the outer layer of enamel will degrade over time. Enamel is very tough. However, it doesn’t have any living cells and is unable to repair itself if it undergoes physical or chemical damage. This means that enamel erosion isn’t reversible, and the enamel won’t grow back. 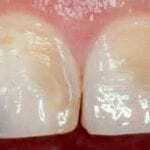 However, enamel erosion takes a long time. So even if you already have some enamel erosion, you can prevent it from becoming worse. 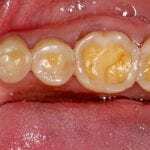 If you’ve experienced significant enamel erosion, a dentist can help you with a few techniques. The first is called tooth bonding. Bonding is a procedure in which a tooth-colored material known as resin is applied to stained or damaged teeth. The resin can cover up discolorations and protect your tooth. 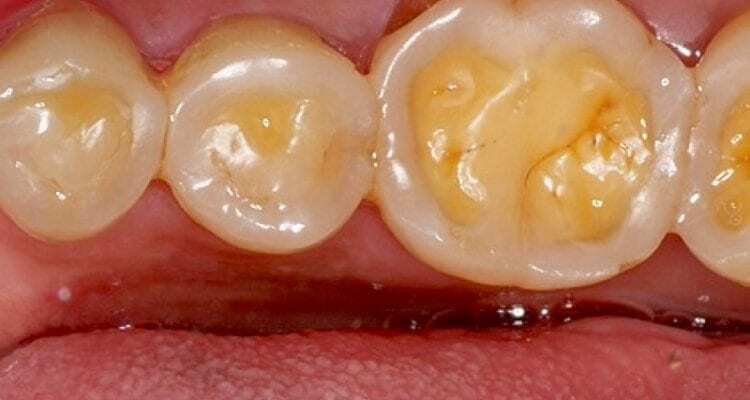 You may want to consider tooth bonding if enamel erosion has caused discolorations on your front teeth. For more information talk to one of our Heath Care Professionals, call us or book online!